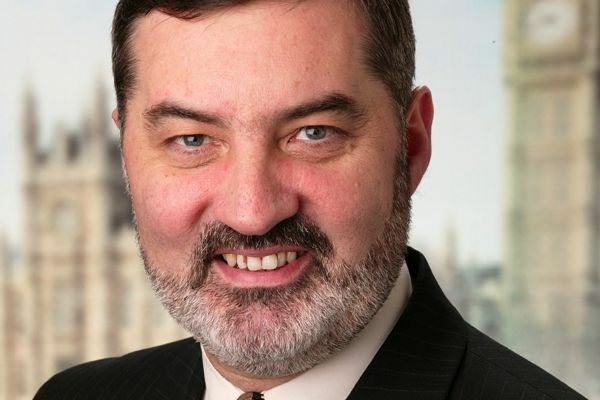 Lord Alderdice speaking in a debate in the House of Lords on the role of soft power and non-military options in conflict prevention. That this House takes note of the role of soft power and non-military options in conflict prevention. My Lords, like other Members of your Lordships’ House, I thank the most reverend Primate for securing the debate, but also for the manner of his speech and the leadership and encouragement he has given over quite a number of years to those of us who are interested in, and committed to, addressing conflict in non-violent ways. Many people from outside your Lordships’ House will read his speech and continue to be encouraged, as they have been in the past, by the approach that he has taken and by the active way he has engaged in these matters. I declare an interest as the director of the Centre for the Resolution of Intractable Conflict, based at Harris Manchester College, Oxford, and of a new centre we are developing in Belfast, the Centre for Democracy and Peace Building. At the start, I want to make clear that, as someone committed to this kind of work, I take the strong view that military and security roles are extremely important. As the noble Lord, Lord West of Spithead, said, it is quite true that military options on their own, without what we are calling soft power, can lead to wickedness and tragic results. However, it is also true that soft power as we describe it can often be wholly ineffectual and sometimes little more than a description of a wish list. If one speaks to those involved in, for example, policing and military operations in most parts of the world, thoughtful people in our own services will say repeatedly that there is no security solution to this particular dilemma but there is a security role. I make an analogy with my medical background. Pharmacology rarely cures problems but, without that back-up, psychology rarely leads to the kind of cure that we want to see. We have to contain the problems but not leave it there; we have to find ways of working through them. Sometimes we can stop when we have contained them, only to regret the fact that it all goes to pieces again. We have many examples of that. I make it clear that in everything that I say—and I am going to focus on the non-military side, which is the subject of our debate—the military and policing role is critical. If there is one great failing of the United Nations system, apart from our difficulty in reaching agreements with each other, it is that its lack of capacity to implement its decisions means that increasingly our people look at the UN not as a force for hope for the future but as a disappointment and a broken reed. There are issues there about the appropriate use of force that need to be properly considered. Other noble Lords have given us a list and a description of some of the important institutions of soft power in this country, and they are extremely impressive. The Commonwealth was mentioned by my noble friend Lady Williams of Crosby and the noble Lord, Lord Howell of Guildford, who is a stout defender of the importance of this quite extraordinary institution and network of relationships. Also mentioned was the British Council, which, tragically, is probably known much more widely in other parts of the world than in the United Kingdom, where it ought to be valued much more. The Foreign Office, the Department for International Development, the BBC and our English language have also been mentioned, but there are many others that have not. “trust in the people qualified by prudence”. I have always regarded the other place as “trust in the people” and your Lordships’ House as the qualification, “by prudence”—but the second is very important, too. There are other elements that I would like to pick up. I do not want to focus on the institutions but, rather, on what is at the back of this. One is the notion of common law and the way we conduct ourselves. This is a remarkable contribution, but sometimes it is not well understood by liberals. Many liberal colleagues focus on the importance of creating law, institutions and regulations which hold people to important principles. The institutions themselves do not necessarily hold people to important principles, and in fact can mislead people into thinking that they are the key issue. Frequently, people come to me from other parts of the world asking for a description of the processes that we have and the institutions that we created in my part of the United Kingdom. I say, “I’m not going to tell you about that. You can read about that in a book—but simply adopting them won’t solve your problem”. In the same kind of way, tragically, the European Union, of which I am strong supporter and defender, has in many ways lost its purpose. Why is that? It is because its purpose was to make sure that there was not another horrible war in Europe. All the things that we have put in place—the euro, economic co-operation and all the structures and bureaucracy, including the European Parliament—are for the purpose of making sure that we do not have another war. Yet, tragically, within Europe these institutions have themselves become the purpose for many people, and, sadly, many political colleagues see them as a way in which we can sit at the top table in political terms. That is not the purpose and it is one reason why the people of Europe are disenchanted—because that is not what it was about. In the same kind of way, just because you pass a clinical room that says “Therapy Going On Inside” does not mean it is so just because there is a therapist and patient. They may simply be going through the motions. It is very important that we distinguish between the purpose of the enterprise and the mechanisms through which we can have things happen. All of the things we have been describing are the mechanisms, so what is at the back of them? Common law helps us because it helps to facilitate relationships between groups of people. If one key thing came out of our experience at home, it was that finding peace was not about putting into place institutions; it was about dealing with historic disturbed relationships. We constructed a peace process that had three strands of three important sets of relationships and everything came after that. The key thing about common law, which distinguishes it from civil law in many ways, is that it looks to a degree of flexibility within structure that enables people to deal with relationships appropriately. I will give an example from my own experience. We put into place certain rules and regulations for how the Assembly Chamber might operate in Northern Ireland, but it was clear that there were times when it was more important to give one group of politicians room and space than another. For example, if there was a big bomb in a nationalist area it was important to give more nationalists the chance to speak about it than unionists—and vice versa—rather than simply hold to a rule that says, “You have to have this number of minutes for this and this person”. If it was done in a context of concern and relationship, it was not only possible but an enrichment and people felt that something worthwhile was happening, whereas if we had simply stuck to the rules rigidly, everybody would have been frustrated. That approach, which is a characteristic of your Lordships’ House and of the culture of this country, is absolutely crucial. If there is one thing that this country has lost over a number of years, it is a degree of confidence in its own culture and the things that are important about it. When we think about relationships between people we think about the personalities of those who are involved. In a way, the culture of our community is the personality of this whole country—the personality of the whole group. I do not mean the symbols of culture such as art, flags and all those kinds of things but the way of being in the world of our community and country—a way in this country that was characterised by a degree of stability, integrity, respect, ethical behaviour and rules that were there for the purpose of relationships, not in order to dominate relationships. It was characterised by an attitude and approach that was open, not nationalistic but international, and respectful of people with different faiths and different approaches. However, that did not mean that the faith of the people in this country was something that they did not believe in because it was just one of many. On the contrary, it was that degree of certitude, commitment and faith that made it possible to be open to others who had a different approach. Maybe it was even the fact that this island was not invaded for most of a thousand years that gave us the possibility of having that kind of confidence and being outgoing to others. In a sense, some of this has been lost as people have begun to feel that it is all about everybody having the same values—and we do not. There are those cultures that promote female genital mutilation. I do not accept that such a culture should be allowed to survive and thrive. We should speak against it. We should not necessarily attack it militarily, but we should try to make a change and realise that our values have something very important to contribute. I finish by speaking of two things. First, the most reverend Primate has shown great leadership. I will give an example of a place where I think religious leaders could do so. In Jerusalem, at the moment, there is a deep split between Jewish nationalism within the country and—largely but by no means exclusively—Islamic Palestinians. But Christians have a stake in Jerusalem. If His Holiness, the Ecumenical Patriarch and the most reverend Primate were together to say to the Israeli Government and Palestinians, “This is not just a fight between the two of you. We have a stake in this as Christians throughout the world”, you would change the psychological dynamic from a fight between two to a relationship with a larger body of people who have a say—not because they want to govern or to rule, and not because they want to send in the legions of His Holiness, but rather because they want to change the dynamic into something fruitful. I shall finish by saying this. I have mentioned your Lordships’ House as an example of our culture. I suspect that relatively few places in the world have a Parliament in which religious leaders sit as of right—but there is one at least, and it is Iran. It may be the case that your Lordships’ House in this country has a very particular role to play at this time, when hard power and military might are absolutely impotent in dealing with the challenge of the relationships between East and West, between Iran and the western world. With our experience we can show respect for others who have a different religious perspective but who value matters of ultimate faith and transcendence. We could show them, by building and developing relationship, we can make a difference. The most reverend Primate has given us the leadership; I trust we will follow. http://democracyandpeace.org/wp-content/uploads/2013/04/lord.jpg 400 600 admin http://democracyandpeace.org/wp-content/uploads/2018/08/logoDemocracy-1.png admin2014-12-05 16:55:132014-12-05 16:55:13Lord Alderdice speaking in a debate in the House of Lords on the role of soft power and non-military options in conflict prevention.